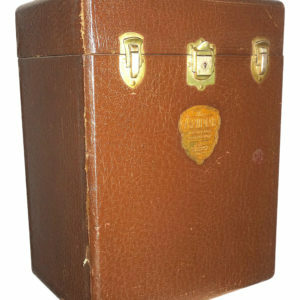 Offered for your consideration is this rare and authentic Cinema Equipment carry case / suitcase / shipping case . Heavy usage patina from the 40s. Great textural piece. Original steel latched and hasp. All original patina. 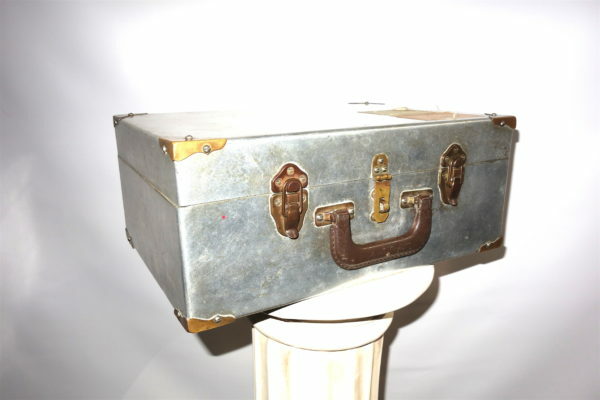 Very solid and would present well as a decor accessory, small end table, artifact stand base or decorative curiosity. 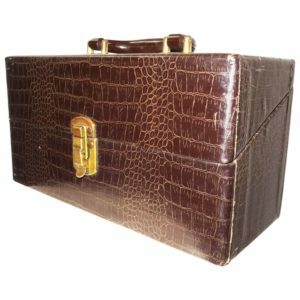 May date back as early as the late 1930s. 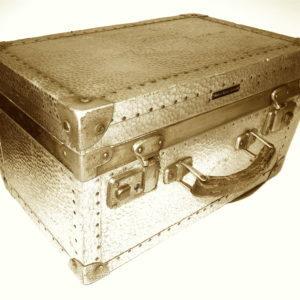 Combine with other luggage / cases for a larger vintage room display. 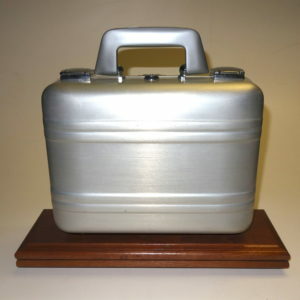 This is a wonderful opportunity to own a true cinema / photographic equipment case relic.